QMS provides a wide range of SAP services to companies all over the world. From large scale, multi location projects to smaller single application solutions, QMS has been on the forefront of the SAP business revolution, helping companies in over fifteen different industries to become more efficient in their manufacturing and overall business processes. Unlike many other SAP consultancy firms, we have SAP experts in house and as a specialized, boutique firm, are a more affordable option than some of the larger SAP providers. Our approach as an SAP implementation provider is to partner with you to understand and document your business requirements. Through this process, we develop solutions based on standard SAP ERP to meet your requirements. We believe that functionality available in SAP will allow you to implement a set of standard Quality business processes in SAP that take advantage of the integrated SAP processes. “The Best-Run Businesses Run SAP”. We will work closely with your team to define and scope each phase of the project and roll out a solution in SAP that makes your organization a “best run” business. SAP outsourcing is one of the best decisions your company can make. QMS consultants will work with you to show how the system must be configured in order to support your specific requirements and to ensure each customer has the knowledge to support this solution after the Final Preparation, Deploy, Go Live and Support phases are completed. The QMS SAP Business and IT consulting service helps you execute your business transformation program. Working with you on-site, your trusted advisor gives you prioritized access to tools and expertise so that you can achieve the degree of transformation you desire. You’re able to maximize the value of your SAP investments, minimize your total cost of ownership, and align IT with business goals to realize your transformation objectives. Long or short-term engagements are delivered within our proprietary delivery model, and quality is our calling card. Your goals are our goals and as an objective third party, we are able to come into your operation, review current issues and assemble a game plan for change and modernization that will reduce costs and create unprecedented efficiencies. QMS is committed to investing significantly and aligning to the market needs of our customers for deployments and integration of SAP. 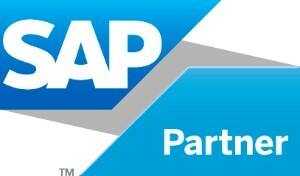 We do this by creating proprietary accelerators, tools, and templates that allow for the reduction of SAP deployment time and further reduce SAP implementation cost and risk.&nbsp; QMS Applications Services helps you align your enterprise-wide applications to business priorities and operational requirements. Regardless of the challenge or operational issue, QMS is able to reduce total time-to-market, and deliver results.&nbsp; Our experience allows us to lower your total cost of ownership and provide mature business solutions to give you a competitive edge. In a time when companies everywhere are pressured to do more with less and are feeling the economic strain, SAP provides a much needed injection of smart business process rules and systems that can make a big difference. QMS can deliver full or partial SAP Project Services. Whether you are looking for SAP implementation, extension or another type of SAP project, we’ll assist in design and management from beginning to end and help train you to use the system for future upgrades and introduction of new staff. Time is money. Systems can always be improved. QMS utilizes the power of SAP to accomplish this and more. We fast track project delivery so your systems can get up to speed quickly, increasing your return on investment to prove the business case. We understand that your project needs to finish on-time and within budget. In every company we engage, we make this a priority. In fact, our expert SAP consultants focus on this with laser sharp attention to detail. No company has the luxury of trying out an SAP consultant just to see if it will work. With QMS, you are assured that your project goals and quality requirements will be met. Your solution will deliver targeted business improvements. ROI is the name of the game. QMS not only delivers the exact SAP solution you need, we reduce implementation costs by ramping up faster. The end result? You hit your business objectives and benefit in a shorter amount of time. The QMS SAP Operations Readiness Assessment Service is customized to meet your specific requirements. Our assessments also evaluate your transition from implementation to a production environment. It focuses on how your support organization will ensure effective operation of your solutions and business processes. The service assesses support processes according to Information Technology Infrastructure Library (ITIL) standards, and best practices. It also reviews responsibilities and relevant tasks for SAP NetWeaver management and business process management.&nbsp; We then identify weaknesses and their potential impacts on your business processes. Finally, QMS provides recommendations and an action plan for ensuring a successful transition to operations. SAP is a powerful tool for managing a business, but as the saying goes: with great power comes great responsibility. In the context of resource management through SAP, this means that everyone in your organization needs to have the knowledge necessary to help complete the functions they are responsible for. With our SAP training services, all your employees will be able to handle the challenges that SAP brings so that you can get more done for your organization in a shorter amount of time. If you have been using SAP for any length of time, your company probably has people who have a grasp on some SAP concepts that are critical for the way your organization runs. No matter what level of familiarity your employees have with the SAP platform, our training can help them reinforce what they currently know and expand their knowledge of other areas of the system so that they can take their interaction with SAP to the next level. Our training comes from industry experts with years of experience working with SAP, but we also specialize in tailoring our services to the exact needs of our customers. We have worked with many different companies, from Fortune 500 enterprises to smaller businesses just getting started with SAP. We know that each of our clients is unique and has their own set of challenges and obstacles. At QMS, our SAP training services offer pointed answers to these questions that will help clients we work with do a better job of managing their business processes through SAP. If you are looking to maximize your use of SAP or planning a new project that will require unique SAP deployment, call upon our experts so that you can get the assistance necessary to be successful. Seeking a full time SAP Administrator or Manager? Perhaps you require an SAP expert for a short term assignment? QMS provides outstanding individuals to our customers, knowledgeable of the SAP suite, for challenging roles and positions based on specific skills and talent level requirements. Our industry-specific focus and SAP expertise allows us to deliver qualified, available and motivated resources to compliment the needs of our customers. Our core strength is a deep commitment to our customers and a track record of quality. We deliver our SAP Staffing Services and Sustainability resources in a number of different models to accommodate our customer’s requests. CONTRACT STAFFING: Our customers achieve business advantages while enjoying cost savings, flexible resource deployment, and immediate productivity. We provided SAP Staffing to meet most organization’s immediate, contract-based needs. CONTRACT TO HIRE: Our Contract-to-hire services afford you the opportunity to assess the performance of SAP employees and determine their fit within your team, and the suitability for the position and your organization before making a hiring commitment. The Best-Run Businesses Run SAP and Utilize the Best Resources. QMS offers full service Recruiting and Staffing services for the entire SAP ERP suite and allows you to tap into our network and find the best qualified candidates for your open positions. It is important to staff and recruit for these key positions in a cost effective and time saving manner. QMS has the experience, networks and track record to ensure success. If your company is planning on growing their SAP Team, talk to the professionals at QMS. Get a fresh perspective from our network of experts so you can interview and recruit the best. SAP Recruiting and Staffing Each successful deployment of SAP depends on talented, permanent in-house staff. QMS is a trusted SAP Partner and consulting provider delivering support for all aspects of our customer’s SAP enterprise. QMS staffing and resource identification services allow your organization to react with purpose, speed, and flexibility to identify and attract the right talent at the right time. It all comes down to having the right fit for the right role. Conducting professional screening and fully understanding the candidates and your needs make all the difference. We know the market. Our candidates and recruiting staff take the time to learn what you and your teams require to qualify the best SAP Professionals for your open roles. QMS Staffing will introduce new resources for your team and help build your Best-Run Business. 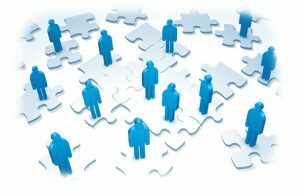 Whether you need to hire an individual or a SAP team, QMS makes the hiring process faster and more efficient. The QMS Team has earned a global reputation of integrity, personal service and professionalism. We look forward to working with you! For more information about our recruiting and staffing services, use our contact form and choose “Recruiting and Staffing” in the subject drop-down box. QMS Career Opportunities Are you interested in investigating new career options? To apply for Open SAP Positions or to speak with a QMS Recruiting Professional, send your resume to staffing@qmsinc.com. Deciding to outsource SAP activities has become a competitive advantage for hundreds of companies. After all, an expert system like SAP requires expert consultation. There may be certain system modules you are not taking advantage of, but could mean all the difference for your operation. SAP Outsourcing is the solution. QMS offers options to our customers to evaluate, manage, and support outsourcing activities and create real outsourcing options, benchmarks and strategies. We help you investigate the options and learn why an overemphasis on cost savings when making outsourcing decisions can make a business vulnerable to risks. In the end, these risks cost more to resolve. Gain a solid understanding of the outsourcing opportunities and the benefits they offer. Development services – Specific solutions, tied to your business objectives that meet your exact project requirements. Previously developed solutions – Packaged, off the shelf solutions, tested in the marketplace, to use as a starting point for solving specific business challenges. With SAP consultants who have many years of experience helping clients get customized solutions for their requirements, QMS is the perfect company to provide for your unique SAP needs. Don’t feel restricted by the standard functions that SAP comes with; instead, call upon a knowledgeable consultant to make sure you are getting exactly what you need from your SAP investment to manage your business.